Probably a family’s most valuable asset is their home. Yet, whether they are buying or selling, the majority of transaction are without representation. Often they are told by the other “professionals” that they do not need an attorney because the title company takes care of everything. However, those professionals only have you best interests in mind when they coincide with their interests, i.e., close a deal so they can get their commission. But they do not represent you and therefore have no incentive to speak up when a discrepancy exists which would delay or end the deal. 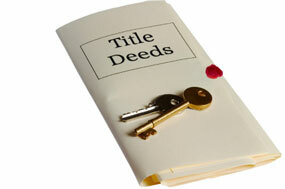 Furthermore, the title company owes no duty to you other than provide good title. So if there is a miscalculation on the closing statement which causes you to pay more than you should or, if a seller, receive less, the title company owes no liability to you. As a practitioner of florida real estate law during the boom years, I can assure you that those who now have regrets do so because they did not have counsel to advise them as to their financing and the interest changes. Under florida real estate law, everything ends with the closing as to a traction and a bad deal or decision cannot be undone once the closing is concluded without there being a fraud, an issue which is both expensive and difficult to prove. By calling on Mr. Kavulich to review the real estate contract before signing, and then handling the transaction, you are assured that someone is actually looking out for your interests in closing the deal. The cost is small in terms of what the other professionals are paid who do not represent you. Also, under federal law (RESPA), a buyer of residential real estate is allowed as a matter of law have his or her attorney provide the title insurance and act as title agent for the lender, saving both costs and a duplication of work. Mr. Kavulich, who issues title insurance through Attorneys’ Title Insurance Fund, is well qualified to provide title services and act as a title agent. Call Miami Real Estate Attorney Jerome Kavulich at 305-442-7978 to set up a consultation to discuss your case. We have over 29 years of experience in Florida Real Estate Law and will put this experience to work for you.